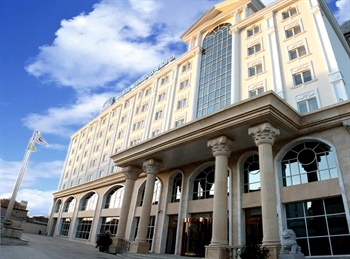 The Royal Phoenix Hotel Beijing (Beijing Zuijia Xifang Fudi Fengcheng Jiudian) is situated close to the bustling Wangfujing Street, one of Beijing's most popular shopping streets, and grants guests convenient access to the Forbidden City and Jingshan Park. Metro Line 5 Dongsi station is also easily accessible. This Beijing hotel has a Continental style and offers various accommodations outfitted with safes, mini bars and refrigerators among other amenities. For dining, the on-site restaurants serve Chinese and Western cuisines and a bar and lounge where guests can enjoy a conversation over their favorite drink. Guests looking to relax can get a massage, head to the spa or steamy sauna.